It’s time for backpacks again! Home/Uncategorized/It’s time for backpacks again! We are busy preparing for our annual mission trip to Rwanda over the Thanksgiving holiday. As you may know, during this time we put on Christmas parties for all the students and volunteers in our TTI sponsorship programs. This is an exciting celebration that all the students, staff, and mission trip participants really look forward to each year. In addition to a nice meal, games, and fellowship, each student receives a brand new backpack filled with a set of new clothes, shoes, school supplies, hygiene items and correspondence from their sponsors. We have generous donors that have covered the cost of the Christmas parties, as well as some extra backpacks for the unsponsored students in the program. We’d like to extend the opportunity for you, as a sponsor, to supply your sponsored student(s) with a backpack for the next school year. The kids love receiving something special from their sponsor. If you are able to help in this way, please note that backpacks should be of good to excellent quality and NEW due to where and how they will be used. Please include one new outfit and pair of shoes, one new pair of black socks, one new package of underwear, and a new toothbrush/toothpaste. Backpacks and items must be mailed to the TTI office (address below) by November 8th, 2017. If you need sizing information on your sponsored student, please email Erica at Tentalentsint@gmail.com. You may also donate $45 in lieu of sending a backpack and our team will purchase the items in Rwanda. Write “2017 Christmas Party backpack” on the memo line of checks or paypal donations. 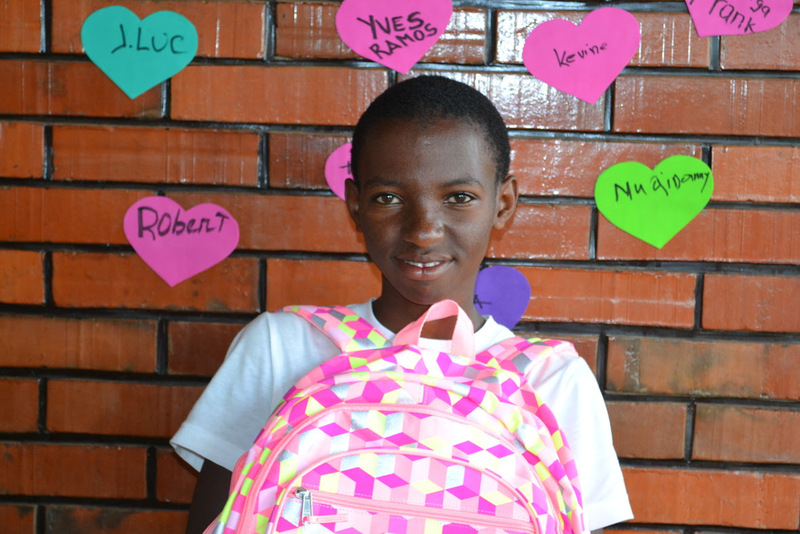 Even if you are unable to provide a backpack for your sponsored student, we want to encourage you to write a special note to them this holiday season. They really love hearing from you! You can email your letters to Erica at TenTalentsInt@gmail.com or mail them to PO Box 873685, Vancouver, WA 98687. Just remember the deadline of November 8th! Thank you for your continued support. We appreciate your commitment to the children of Rwanda!